VATICAN CITY (CNS) — Although the conflict between Ukraine and Russian-backed separatists continues, Pope Francis and Ukrainian President Petro Poroshenko still share hope that a political solution still can be found, the Vatican said. 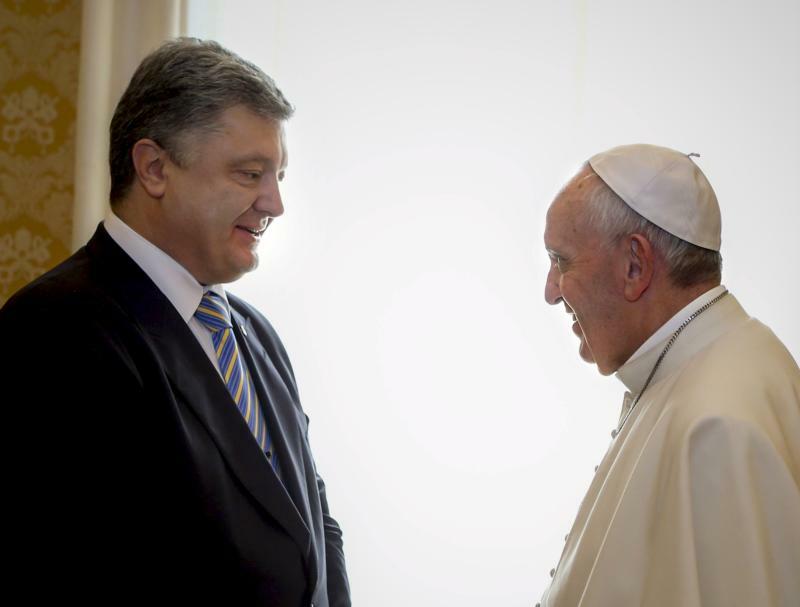 Welcoming Poroshenko to the Vatican Nov. 20, the pope greeted him in Ukrainian. Jesuit Father Federico Lombardi, Vatican spokesman, explained that at the age of 11, the young Jorge Mario Bergoglio learned a few phrases of Ukrainian when he served as an altar boy for a Ukrainian Catholic priest in Buenos Aires. After their meeting, Poroshenko met privately with Cardinal Pietro Parolin, Vatican secretary of state, and with Archbishop Paul Gallagher, Vatican foreign minister.